Asogravas Colombia 2017 | Minyu Machinery Corp.
Asogravas 2017 was a huge success this past September. Evidence of a large boost in the Colombian construction, mining, aggregate and recycling industries is upon us and our partners at ABL are there to meet the needs of the market. Dozens of attendees came to ABL’s booth to inquire about the products they support through Minyu crushing plants and Striker track mounted crushers and screens. 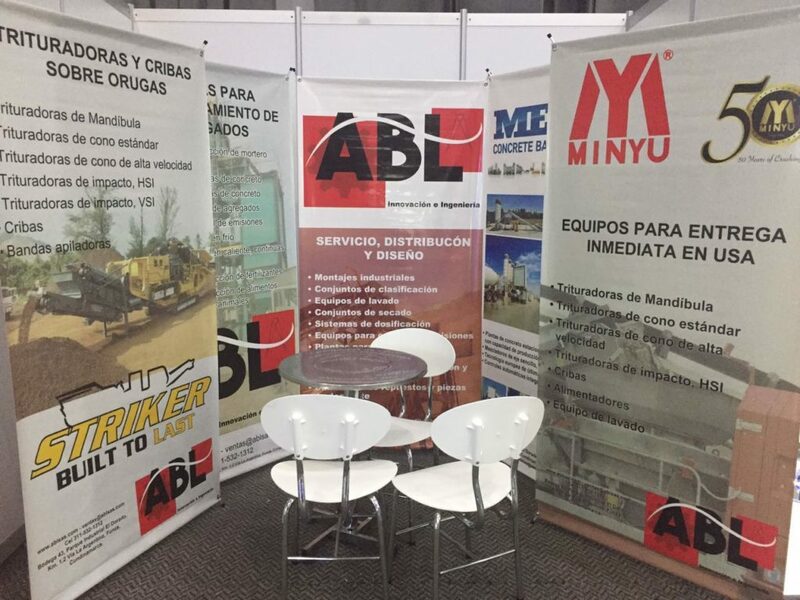 If you have questions about Minyu machinery in Colombia, please contact our partners at ABL by clicking here!